Watercolor art blogs allow artists to connect on the Internet. These online discussions can help an artist keep in touch with other artists in the watercolor painting scene. They can discuss new techniques, trends, ideas, and materials. Participants may comment on and critique each others' art, discuss the latest art news, and browse through art gossip. 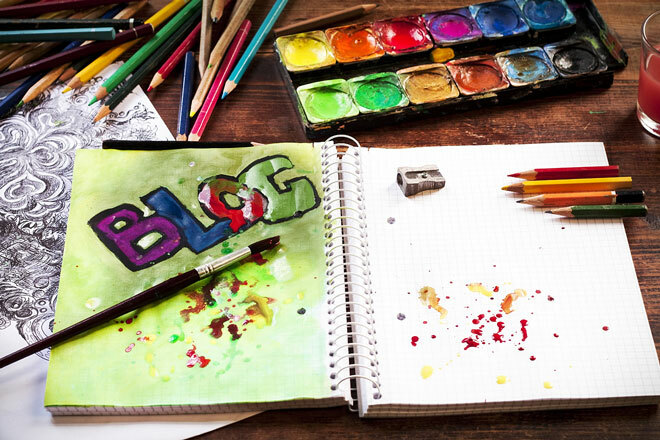 Blogs can be used to obtain marketing information and for connecting collectors with artists, and they may also be used as event information sources. Blogging can take a lot of time away from regular studio painting, so it's important for the professional artist to focus on their primary vocation. Visit Paris in a fun and new way, while developing your art skills! In small groups, we explore a different area of the city each time, with a pen and watercolor in hand. Longer workshops, in Paris and abroad, are organized several times in the year too. Teaching available both in French and English! Carolyn is a signature member of the National Watercolor Society and the California Art club. She has been exhibiting since graduation from college. She simplifies her landscapes to the bare essentials. Blog with samples of my watercolors and daily paintings. Equestrian and wildlife paintings mainly in watercolour by UK based professional artist. Horse racing, polo and other equestrian sporting scenes a speciality. Also African wildlife including the endangered African Wild Dog. Colorful, strong watercolor paintings. Also has a blog, Art and Life. Kathie George is an award winning watercolor artist from Kettering, Ohio. Best known for her 'watercolor batik on rice paper' work. Award winning impressionistic watercolor artist. Growing up in her father's art studio, Kristine Fretheim always knew she would become a professional artist. Abstract compositions animate and inspire her representational style. Follow Kris's thoughts on her painting process and Zen Buddhist practice on her blog, Watercolor Haiku. See more of her original watercolors on her web site at www.kristinefretheim.com. Marsha Chandler is a full-time watercolor artist, a member of several watercolor societies. She paints detailed stilllife paintings which often include reflective objects. Watercolor artist who primarily paints cities, towns, and landscapes. She was born and raised in the Netherlands and maintains a studio in Bloomington, Illinois. Free watercolor painting demonstrations and step by step guides. Watercolor tips and tricks articles. Free video demonstrations and gallery of watercolors by Joe Cartwright, award winning Australian watercolor artist, tutor and teacher. A member of the Transparent Watercolor Sociaty of America, Peter has won numerous awards. An architect, he migrated toward art by becoming an architectural illustrator. Original watercolour fine art and limited edition giclée prints from Ireland and beyond. The subject matter ranges from landscapes to still life, cultural subjects and watercolor sketches including ink. Róisín Curé spends part of her life in Mauritius, so this region and its people are prominant in her artwork. Watercolor artist known for paintings of flowers. Website presents Savva Motovilov's Watercolor works in neo-expressionism style. In his works he returned to portraying recognizable objects, such as the human body (although sometimes in a virtually abstract manner), in a rough and violently emotional way using vivid colors and banal color harmonies. You may see included slashing brushstrokes, strong color contrasts, and distorted subject matter in most of Savva Motovilov's works. This grassroots organization is dedicated to fostering the art of on-location drawing. Free watercolor painting demonstrations and step by step watercolor painting guides. Free watercolor video demonstrations. Includes gallery of watercolor paintings by Joe Cartwright, award winning Australian watercolor artist, tutor and teacher. Original watercolor painting giclee of the U.S. and Canada. Yosemite Falls, Englishman River, Lake Louise, Half Dome, Kootenay River, Prince Edward Island, Nova Scotia, Stillwater Cove, Lights of Victoria,etc.